CHICAGO (WLS) -- Opening night of the Goodman Theatre's newest show 'Pamplona' was cut short Tuesday night after the show's star appeared sick. 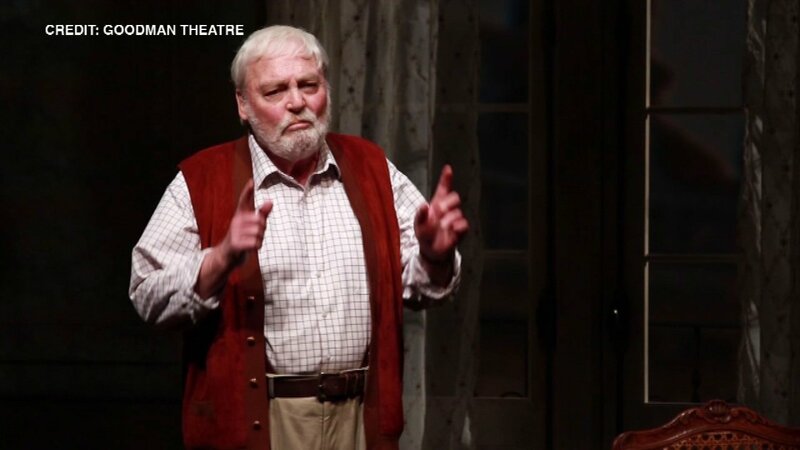 Actor Stacy Keach, who plays the lead Ernest Hemingway in the one-man play, seemed lost and was repeating lines, according to audience members. Wednesday night's performance was also canceled because Keach was still ill, the theater said. Thursday night's 7:30 p.m. performance is still scheduled to be held. Keach "had not been feeling well earlier in the day, but made the decision to go on with the performance. When it became clear midway through that Mr. Keach was struggling, Director Robert Falls took the stage and announced that the performance would conclude. Performances are expected to resume as scheduled," according to a theater statement about the Tuesday performance. About an hour into the play, the director suspended the show saying Keach had been sick all day but insisted on performing. In a message to theater-goers, the Goodman said: "Given that tonight's performance was incomplete, and out of respect for Mr. Keach and the show's creators, we request that you please refrain from reviewing what you saw." The theater said they would make arrangements for audience members to return for a future performance.